Rachel Lewis rounds first base. She hit a home run in her first at-bat of the season Friday. Northwestern knew last year’s senior class would be tough to replace, but this year’s freshmen are already rising to the occasion. The freshmen, particularly catcher Jordyn Rudd and pitcher Danielle Williams, helped lead the Wildcats to a 4-1 record this weekend at the Titan Classic in Fullerton, California. NU blew out Utah State (1-4) and Pacific (2-3) on Friday, edged Louisville (3-2) before falling to Loyola Marymount (4-0) on Saturday and then came from behind to beat Idaho State (2-4) on Sunday. The Cats dominated the season opener against Utah State, scoring five runs in the first, one in the second and six in the third en route to a 12-0, five-inning win with the run rule in effect. Sophomore second baseman Rachel Lewis opened the scoring with a solo home run in her first at-bat of the season. NU would not stop scoring from there. Rudd hit a three-run double in the first, Lewis had another key hit and freshman Nikki Cuchran also drove in a pair of runs. Sophomore pitcher Kenna Wilkey and senior pitcher Kaley Winegarner combined on a one-hitter. The Cats had another offensive outburst in their second game Friday against Pacific. Rudd hit a three-run homer in the first inning and a two-run shot in the third, and senior first baseman Lily Novak also homered. Williams, in her first collegiate start, was one out from a no-hitter before settling for a one-hit shutout as NU won 7-0. Williams followed up her strong debut with a two-hit shutout Saturday against Louisville. The game was scoreless until the seventh, when junior pitcher Morgan Newport led off with a triple and pinch-runner Emma Bartz scored on a Novak sacrifice fly. The Cats began the season with three consecutive shutouts and 19 straight scoreless innings. NU suffered a 3-2 loss later Saturday to Loyola Marymount, coming back twice to tie the game only to see the Lions win in walk-off fashion in the seventh. But the Cats closed the weekend with a dramatic win Sunday. Facing Idaho State, NU fell behind 3-0 in the second before pulling within a run in the fourth. Lewis tied the game in the sixth with a solo shot, her second long ball of the young season. After the Bengals retook the lead with a run in their half of the sixth, the Cats needed to come back one more time. They did just that. 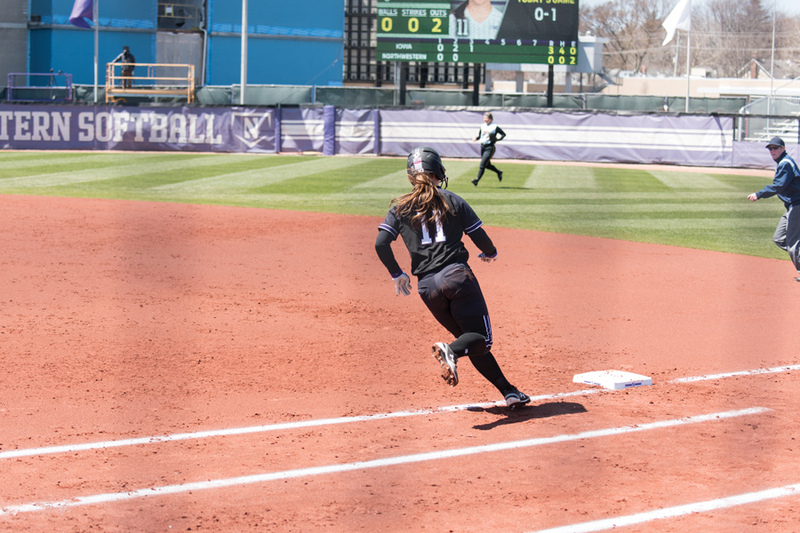 NU put runners at second and third with nobody out in the seventh, and Williams singled up the middle to score two runs and give the Cats the lead. With the bases reloaded later in the inning, Rudd drove in two more with a single of her own to give NU some insurance, and ultimately a 7-4 victory.